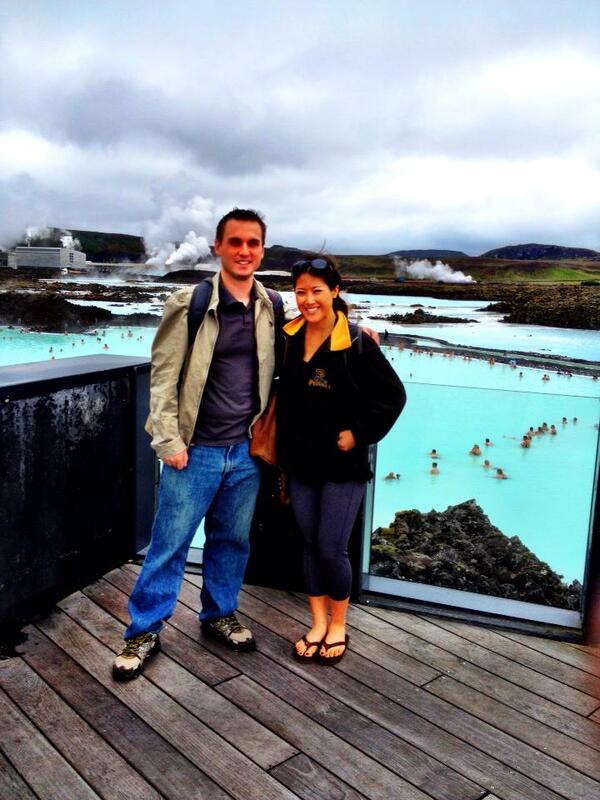 The moment we got off the plane at Reykjavik, we immediately boarded a shuttle to the Blue Lagoon. 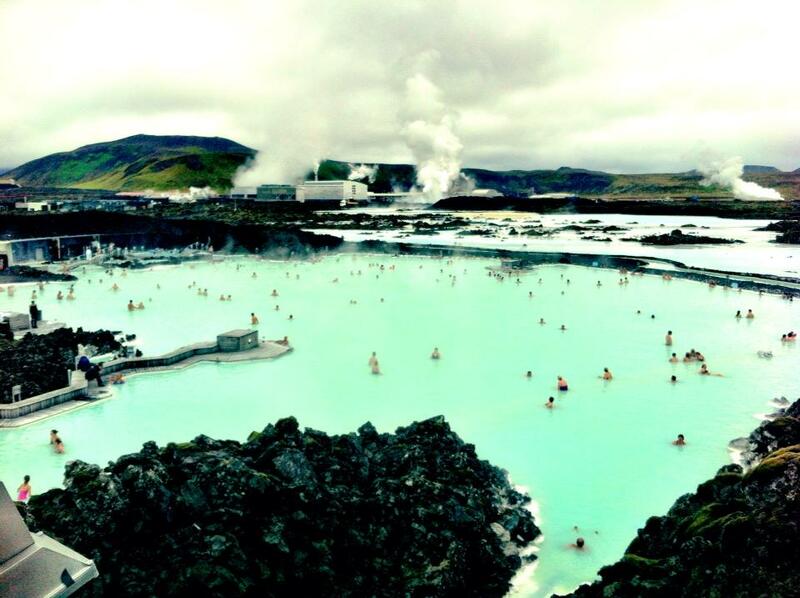 The Blue Lagoon is a geothermal spa located in a lava field in Grindavik on the Reykjanes Peninsula. The warm waters are rich in minerals like silica and sulphur with temps between 98–102 °F. This man-made lagoon uses superheated water from the group near a lava flow. Even though it’s a total tourist attraction, the soothing therapeutic waters can’t be beat especially after a long red eye. The Blue Lagoon is actually on the way into the city from the airport so many travelers either visit after their flight or before. 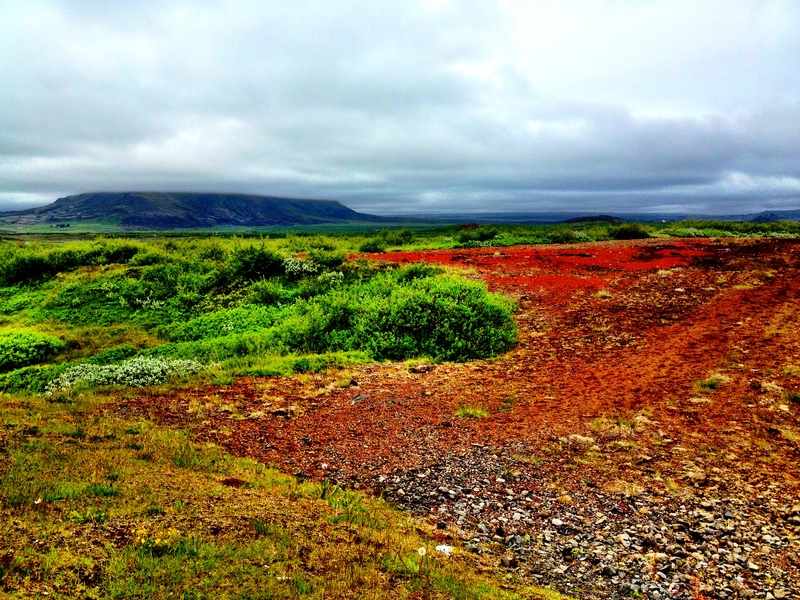 We were amazed by the ever-changing scenery on the drive to the Lagoon. Iceland feels very empty, which is something I loved about the country. You can see for miles the vast landscape all around you, from piles of volcanic rocks to mossy green fields to waterfalls around every corner. Despite the rain and overcast weather, the colors are so vibrant and dramatic here. Once we arrived at the Blue Lagoon, we were able to check in our luggage for a small fee before buying our entrance ticket ($52/person in the summer) into the Lagoon. There are different packages or add-ons you can purchase in addition to your entrance ticket. There are women and men’s changing rooms with showers and full amenities where we changed into our bathing suit before heading into the lagoon. 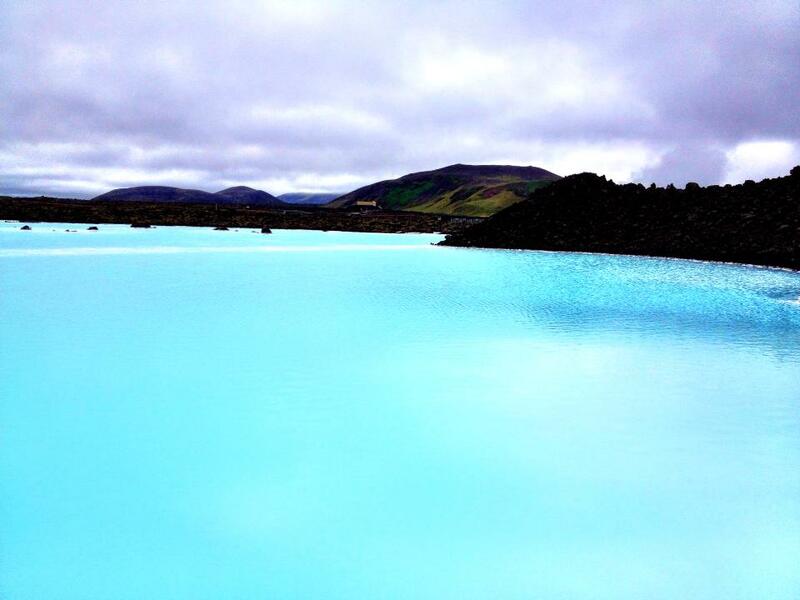 Once you exit the changing rooms, you are taken back by the color and size of the lagoon. It almost doesn’t look real how blue and pure the water is. 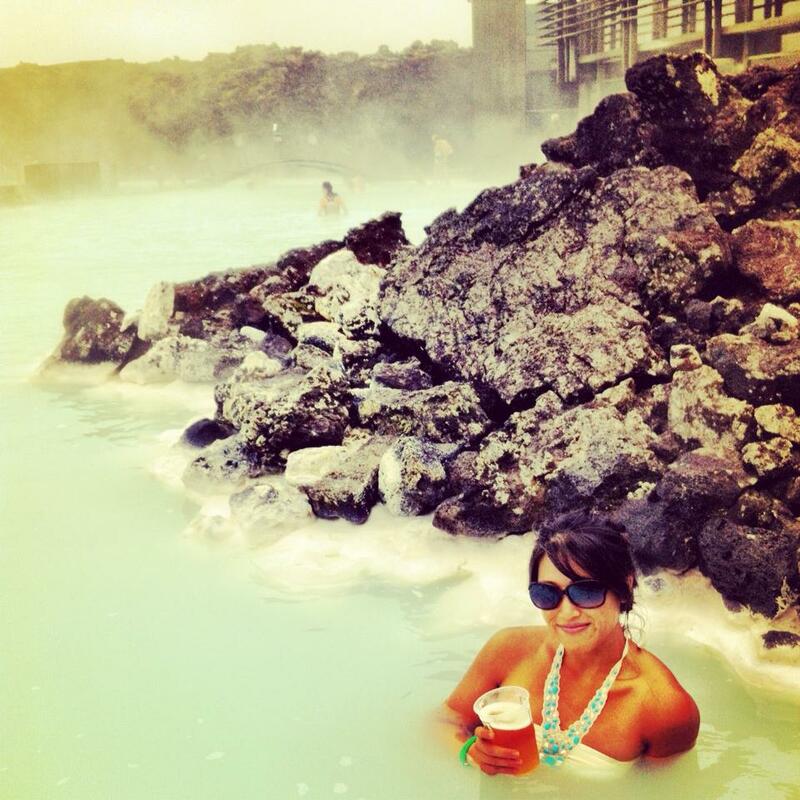 We soaked in the lagoon for a few hours, grabbing drinks at the swim-up bar where we could choose from a variety of fresh smoothies, slurpees or Icelandic beer on tap. It seemed appropriate to try some local beer while we were there. In one of the corners of the lagoon was a place where you could put this volcano scrub or algae mask all over your body and face and just wash it off in the lagoon. 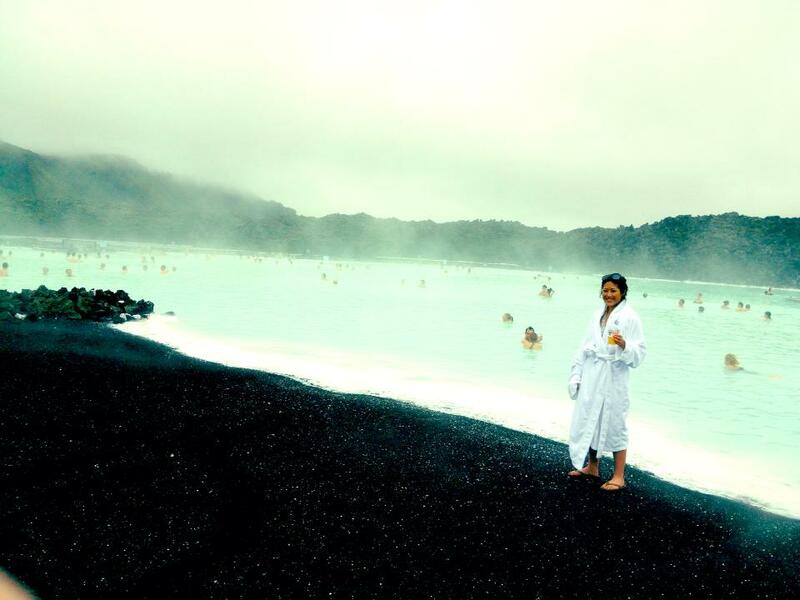 There are also steam rooms and saunas surrounding the lagoons that are open for use, as well as spa treatments. Inside the facilities, we rested a bit on the comfortable lounge chairs where we could look out at the lagoon below. After we showered and dried off, we headed upstairs to the observatory deck where we got an incredible view of the entire lagoon. There is also a really nice restaurant on site serving a la carte items as well as a seafood buffet. Outside of the lagoon is a nice walkway where you can soak in more of the scenery while waiting for your shuttle to pick you up. We spent a couple hours here relaxing after our long flight before boarding the same shuttle to Reykjavik where we got dropped off at our studio. Even though it’s a huge tourist attraction, it never felt very crowded since the lagoon and the facilities are so expansive. During the summer months, the lagoon is open until midnight where you can enjoy the midnight sun. It was the perfect excursion to do right after a flight and one not to be missed!